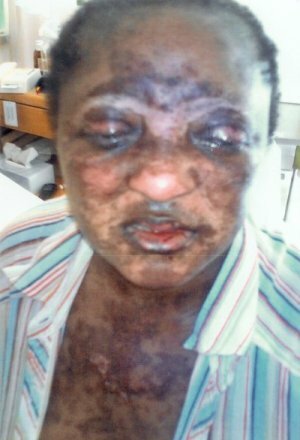 You are victim of Stevens Johnson syndrome/ Lyell syndrome (toxic epidermal necrolysis), and you wonder if it is possible to heal. Know that the medical profession remain often mute regarding that question. In fact, the long term consequences Stevens Johnson syndrome/Lyell syndrome can be very serious. Concerning internal organs, consequence of stevens johnsons syndrome and lyell syndrome could be a serious damage of liver. According to the thesis of D Popinet about lyell syndrome (toxic epidermal necrolysis)(1995 university of medecine of Clermont ferrand),it appears that the pancreas can also suffer and presents some after math. 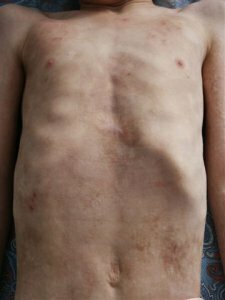 Below is a succinct presentation of the after-effects of Stevens Johnson syndrome/Lyell syndrome (toxic epidermal necrolysis) that we noticed. Often the most serious, leading to a risk of blindness, or even total blindness. Usually, very painful eyes, big photosensitivity (possible relief with scleral lens), keratitis, cornea ulcer, neo vascularization of the cornea (veil) ocular drought, lashes that sprout in an anarchical way. You can visit doctor scheffer tseng's (Miami) web site. 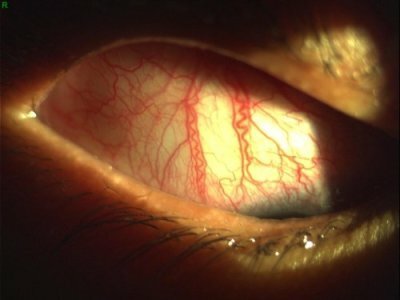 Photos of ophtalmological after-effects caused by stevens johnson syndrome and lyell syndrome. 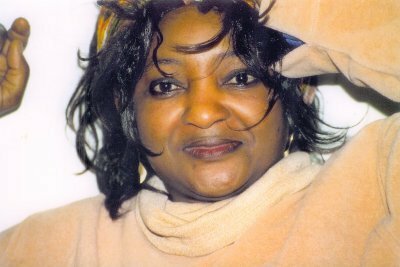 For the victims of African origin, the stevens johnson syndrome / toxic epidermal necrolysis sometimes can let white stains on the skin. Here is a photo of a victim before her stevens johnson syndrome. They can be serious at dental level : loss of teeth (even all teeth) repeated dental cavities, requiring many dental cares, or insertion of crowns, baring of the teeth, parodontitis.Sometimes big sensitivity of the gums (bleekings). Dilatation of bronchi, respiratory allergy, runny nose, bronchitis. Formation of corks in the auditory meatus, requiring regular visits to specialist to remove these corks. Some victims of Stevens johnson syndrome and toxic epidermal necrolyssis (lyell syndrome) complain about phases of intense fatigue, or even great weariness. 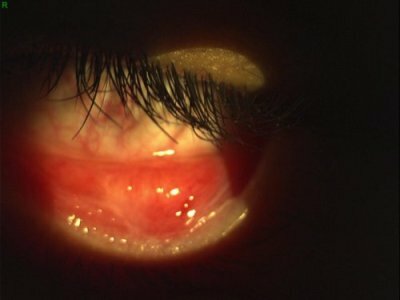 Case of a victim of stevens johnson syndrome/lyell syndrome (toxic epidermal necrolysis) in her adolescence, that probably leads to her infertility. Case of a young woman, victim of stevens johnson syndrome/leyll syndrome (toxic epidermal necrolysis) when she was 6 years old, who had repeated miscarriages. Eventual starting, aggravation of an existing diabetes. Insomnia,or very important need to sleep, one or the other alternatively. Some victims of stevens johnson syndrome and lyell syndrome complain about muscular pains, and fragility to the muscular level. Some victims of stevens johnson syndrome / lyell syndrome complain of headaches, cephalalgy. Some victims of stevens johnson syndrome and lyell syndrome often suffer from depression. We have been informed of 5 cases (including one recent case in Luxembourg). In 4 cases the mother has a Stevens Johnson syndrome or toxic epidermal necrolysis during pregnancy, but children were born healthy . For the 5th case, the mother took a drug and nothing happened, while the baby had a stevens johnson syndrome in utero, the baby was born with many health problems and did not live long time. This suggests that either the mother or the baby that makes the syndrome, but not both at the same time.Note: this is an indication looking the small number of cases that we know. Would you like to know more about Stevens syndrome causal factors and Stevens Johnson syndrome lawsuits ? Avimed explains what Stevens Johnson syndrome is and provides information and support for cases involving alleged medical negligence.